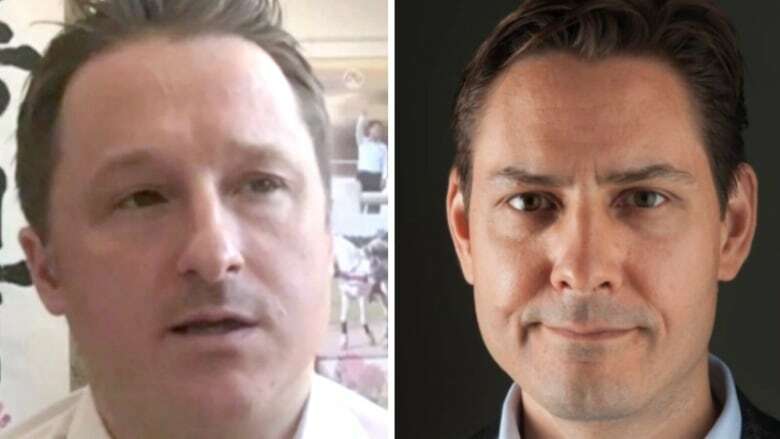 Canadians Michael Kovrig and Michael Spavor are being held in China under a national security law that gives authorities almost unlimited power to accuse individuals of posing a threat to national security. The two Canadian citizens detained in China following the Vancouver arrest of a top Chinese technology company executive are being held under an "all-encompassing" law with a broad definition of national security violations. It's been nearly one month since Chinese authorities detained Michael Kovrig and Michael Spavor, which came just days after the arrest of Huawei CFO Meng Wanzhou — and we're starting to get a better idea of how they may have gotten tangled up in China's sweeping national security law. For weeks, Canada has called for the "immediate release" of Kovrig and Spavor. But China's top prosecutor said this week he had "no doubt" the two Canadians had violated Chinese law. 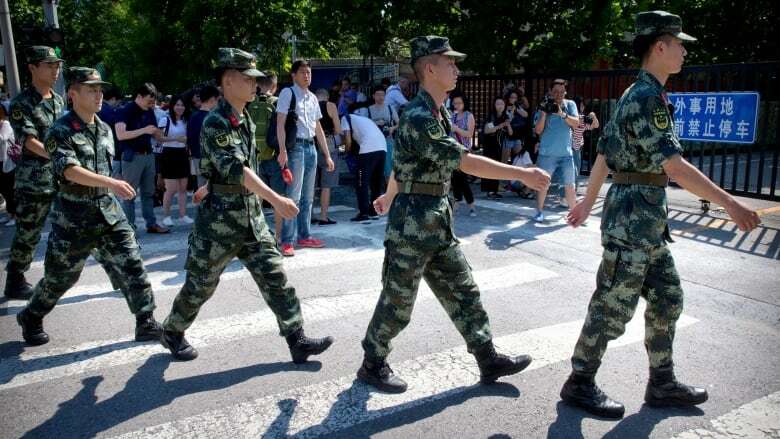 Authorities in Beijing have given only vague details about the detentions, saying the two men were "suspected of engaging in activities endangering national security" while insisting the arrests were lawful. Although little is known about Kovrig's or Spavor's circumstances, statements by Chinese officials and CBC News' monitoring of Chinese state-run media offer a glimpse of how the law they're accused of breaking actually works — and suggest what could come next. Chinese authorities took Kovrig, a former Canadian diplomat and an adviser with the International Crisis Group, and Spavor, an entrepreneur, into custody on Dec. 10 in Beijing and Dandong respectively. The two men have since been held and questioned without a hearing. They have not been formally charged with any crime. Still, China's prosecutor-general, Zhang Jun, said this week he was certain they had broken the law. "There is no doubt that these two Canadian citizens in China violated our country's laws and regulations," Zhang said on Thursday. "They are currently undergoing investigation with the due process of law." The National Security Law of the People's Republic of China is the country's most comprehensive piece of national security legislation to date. Beijing made headlines in 2015 when its legislature, the National People's Congress, passed the controversial bill by 154 votes to none with one abstention. It was signed into law that day by President Xi Jinping. The scope of the law is vast, giving Beijing power to order national security reviews on a wide range of topics: political, military, economic, financial, cultural, technological, nuclear, environmental and religious, among others. The law also underscores the Communist Party's stated belief that its reach should extend far beyond the physical borders of China. It declares both cyberspace and outer space to be part of China's national security sphere, along with the ocean depths and polar regions. While the legislation is sweeping, observers note that it's also written in general terms and lacks specific details, leaving authorities ample room for interpretation. A New York Times report noted that "legal scholars and analysts in China say it will probably lead to the security apparatus amassing more power, and to courts employing a broad definition of national security violations." That's something China doesn't deny. In fact, state news agency Xinhua praised its passage as marking a "new frontier" in Chinese law. "The new law covers almost every aspect of public life in China," it reported. "An all-encompassing national security law thus can provide a broad toolkit for the country to ensure stability and henceforth development." The all-encompassing nature of the law is one reason why observers feel China has been able to detain Spavor and Kovrig while maintaining that its actions are "lawful." And Chinese state-owned media reports have offered one insight into the Canadians' alleged crimes, pointing to a specific section of the national security law: Article 59. Article 59 allows China to conduct a national security examination on "affairs and activities" that "influence or may influence" national security. On the face of it, that appears to allow Chinese authorities to conclude that anything an individual does could be the trigger for a national security probe. "The Kovrig-Spavor detentions are pretty much the textbook definition of arbitrary. It is still not clear what they are being charged with. There is no specific evidence or description of any evidence of whatever they allegedly did," Julian Ku, a professor at Hofstra University School of Law who studies China's legal system, told CBC News. "Those of us observing from the outside should not give the Chinese government's statements on this issue any credibility whatsoever; indeed, doing so would undermine our own notions of how fairness and rule of law should work." Reuters recently reported that Kovrig was being held at an undisclosed location where he's being questioned three times a day and is forbidden to turn off the lights in his cell at night. He is also allowed just one consular visit a month and hasn't been able to contact a lawyer or family members. Special forms of detention and interrogation can be used for state security suspects, according to Chinese law. Authorities can keep detainees in custody for six months without any formal charges. The detention of the two Canadians is eerily similar to a previous spat between China and Canada. In 2014, Kevin and Julia Garratt were detained for "undermining China's state security" shortly after Canada arrested Su Bin, a Chinese man wanted for industrial espionage in the U.S. While Julia Garratt was released on bail, her husband was held for more than two years before he was deported in September 2016 — after Su was extradited and pleaded guilty in the U.S. In 2016, Swedish human rights activist Peter Dahlin disappeared on his way to the Beijing airport and re-appeared three weeks later on Chinese television confessing to "endangering state security" and "hurting the feelings of the Chinese people." Dahlin was deported. Canada has accused China of detaining Spavor and Kovrig without cause. "We are deeply concerned by the arbitrary detention by Chinese authorities of two Canadians earlier this month and call for their immediate release," Foreign Affairs Chrystia Freeland said in December. Prime Minister Justin Trudeau added that it's a case that "people around the world are extremely disturbed by." A number of allies — the United States, the United Kingdom, the European Union, Germany, France and Australia — have since publicly backed Canada. The arrests of Kovrig and Spavor came days after the RCMP apprehended Meng while she was changing planes in Vancouver, in response to a request from the United States for her extradition to face charges of fraud and violating international sanctions against Iran. She has been released on bail and is living in a multimillion-dollar Vancouver home in advance of her extradition hearing. The 46-year-old is the daughter of Ren Zhengfei, who founded Huawei Technologies in 1987. She has worked for the company since 1993 and currently serves as the company's chief financial officer and deputy chairwoman of the board. Neither China nor Canada has directly linked the two men's cases to Meng's arrest. "Canada is a country governed by the rule of law. 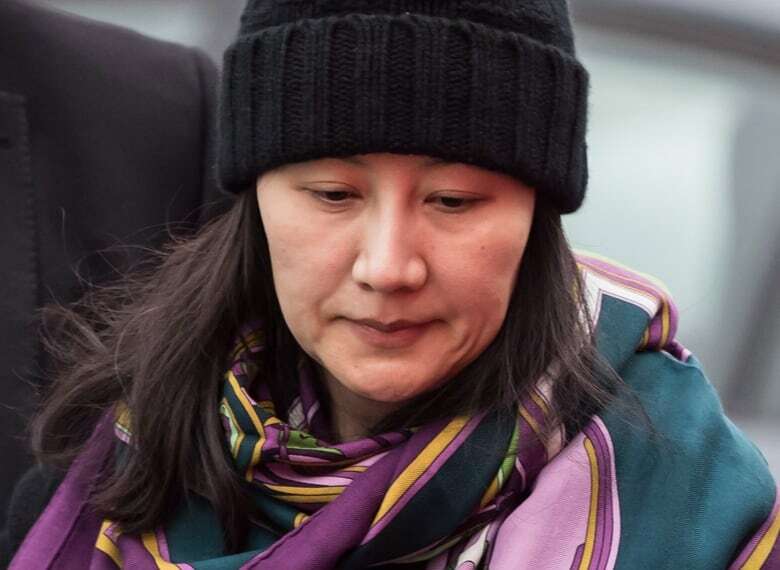 Canada is conducting a fair, unbiased and transparent legal proceeding with respect to Meng Wanzhou, Huawei's chief financial officer," Freeland said in a statement. And as Canada continues to stress that Meng's case is a legal matter rather than a political one, China has started throwing Ottawa's words right back at it over how it's handling Spavor and Kovrig. "China is a country governed by the rule of law," China's Vice-Minister of Justice Liu Zhenyu said Friday. "And the handling of this issue is carried out in accordance with the law."